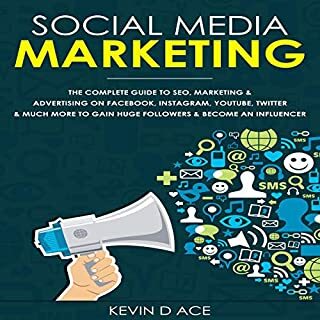 Thanks to the incredible strategies presented in this book, you will learn the best and most powerful social media marketing techniques to make money using social media marketing and create abundance in your life. You see, most people go through their day exchanging their time for money and having a miserable life which they cannot change. But you are different. The fact that you are looking for practical solutions to your financial problems means that you are on the right path to success and this book will make sure that you get real results very fast. Forget the old concept of just posting videos on YouTube and building a following, get in on the new early wave of YouTube secrets that will turn your viewers into loyal subscribers in 2019. 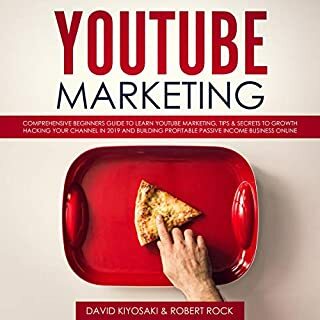 Whether your goal is to build your own personal brand or to get new clients for a company you work with, this audiobook will show you step-by-step how to market your YouTube channel to build a loyal subscriber following. Once you execute and find the right way that works for you, from there, it gets very scalable. 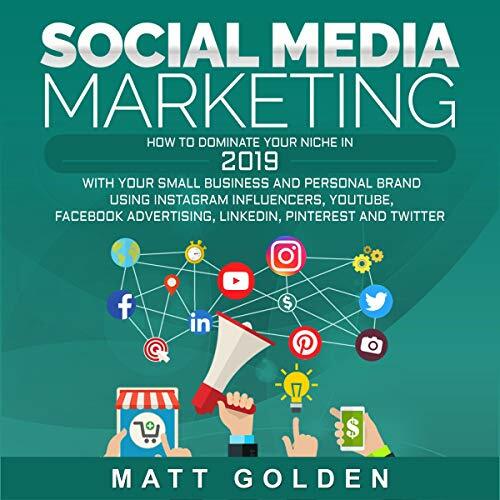 This will instantly become your ultimate guide for marketing all year long, helping you navigate everything from how to set goals for your brand to how to dominate on the six biggest platforms on the internet in 2019. Despite calling Facebook the most important form of social media, it spent very little time on Facebook. It did not even discuss boosted posts, which is one of the main ways to advertise on Facebook. It did not really discuss ways to encourage people to follow you, which I feel is the point social media so that you can interact with people. I feel this would only be beneficial to the people who have no prior knowledge of social media. Expand your small business and personal brand using instagram influencers, youtube, facebook advertising, linkedin, pinterest, and twitter, just follow the easy tips. Learn Social Media Use here. Honest and in-depth advice for reaching your full potential. This advice is presented in easy to follow language that can be broken up and applied in pieces at a time. 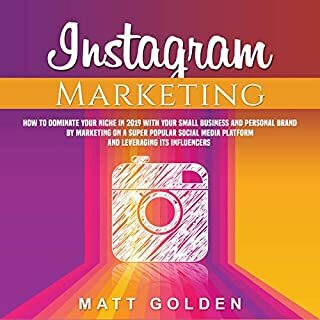 I Built a Massive Social Following in past few days, is an absolute must for anyone that's curious about marketing, social media, building a thriving and engaged community and beyond. It is a very useful book that helps entrepreneurs reach a bigger audience. Examples are super helpful to understand the terminology of SMM. Absolutely Perfect. This is the real deal! This device gets all points and meridians. I love it!! Learned a lot about how to work smarter on building a social media following. One of my favorites in the genre. Seriously one of the best resources for cracking social media. The knowledge Kane shares is incredibly up to date and that of a professional in the field unlike a lot of the Buzz-feed writers that write these type of books. I'm not new to Golden's world. It wasn't the celebrity or fortunate 500 that drew me in. It was his honest, simple, and generous sharing of information that you will find in this book. Matt Golden makes it clear, and he's right, it's going to take a lot of work. But his know-how and tips will allow you to bypass hours of figuring things out and get right to the real work. Wonderful example of bringing together all aspects of social media to create a business plan for the modern era. 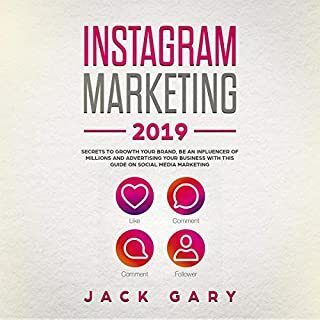 I would recommend “Social Media Marketing Workbook” for anyone who is interested in advancing their own business and products in the electronic age. I am happy with my purchase and would buy the book again. This is a very helpful guide. It is an easy read and is not difficult to understand at all. I do think the level of detail presented is best for beginners, which is what I am. Matt Golden definitely knows his stuff very well. A good social media book. I will say that, I did not read anywhere in the book on how to make money using these social media platforms, other than the obvious use of keeping your business in front of your family, friends, current and/or potentially new customers. The book is packed with information and instructions, a good social media book. All-in-all it is a great book for beginners or technology challenged people who want to use it to promote there business. The book explains how to determine content and to make it more engaging that out right asking them to purchase your product or services. It also explains the differences between the major social media platforms. 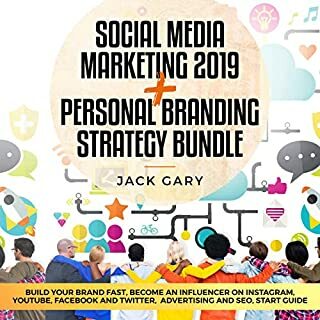 This book covers step-by-step instructions on how to set up a page, contents, tying different social media accounts together, search engine optimization, keywords, how to find your reviews, etc. The nice thing about the book is that many of the steps, is that in most all of them the steps are relatively the same, just a slightly different platform. I think the best thing about this book is its setup. Each chapter is like a week-long lesson in a classroom with in-depth information and assignments to complete to take you along a path that leads to a fully fledged marketing plan. Not only do I have a ton of knowledge on marketing online now, I also have a pretty substantial marketing plan laid out as well. 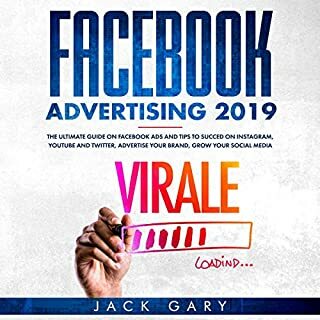 Before listening to this book, I thought Facebook was something I could ignore during social media marketing since it’s a little old school, but now I realize it can be really useful if I’m looking to connect my business to a specific crowd and age of people.